In order to preserve its fragile ecosystem and fishing stocks, trawling in certain parts of the Øresund has been banned by law for more than 80 years. 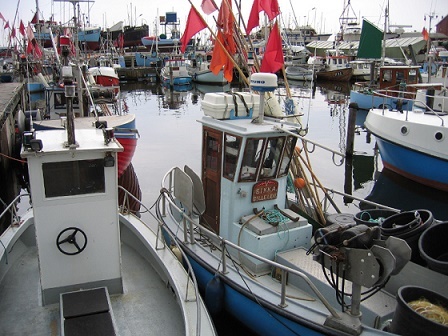 However, after one month of concentrated surveillance, the environmental organisation Greenpeace has been able to document at least six cases of illegal fishing by trawlers based in Gilleleje Harbour, the organisation reports. Trawling is completely illegal in some parts of the Øresund but is permitted in the northern part – except during the period from February 1 to Mach 31, which is when cod are spawning. The environmental watchdog has GPS evidence as well as photos and videos of illegal fishing, which have now been handed over to the Danish fishing supervisory body Fiskerikontrollen. One of the trawlers allegedly fishing illegally even cut its trawl and abandoned it when Greenpeace sailed out to confront the vessel. “Both the Swedish and Danish authorities have been fighting to stop illegal fishing in Øresund for many years, and it is primarily fisherman from Gilleleje who are the problem,” said Magnus Eckeskog, the organisation’s Nordic Oceans campaigner. “Despite this, it seems as if illegal fishing takes place openly and in broad daylight. Something indicates that the consequences are just too insignificant to scare illegal fishermen, so there ought to be stiffer penalties,” added Eckeskog. Eckeskog would also like to see all trawlers fitted with a vessel monitoring system or VMS, which is a system used in commercial fishing to allow environmental and fisheries regulatory organisations to track and monitor the activities of fishing vessels.